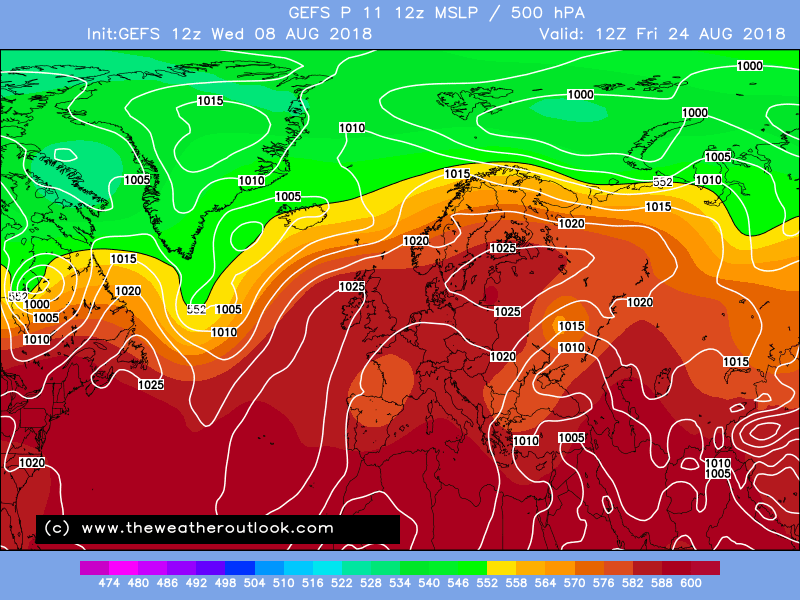 Looking at the models over the last several weeks you can clearly see the Atlantic is waking up. 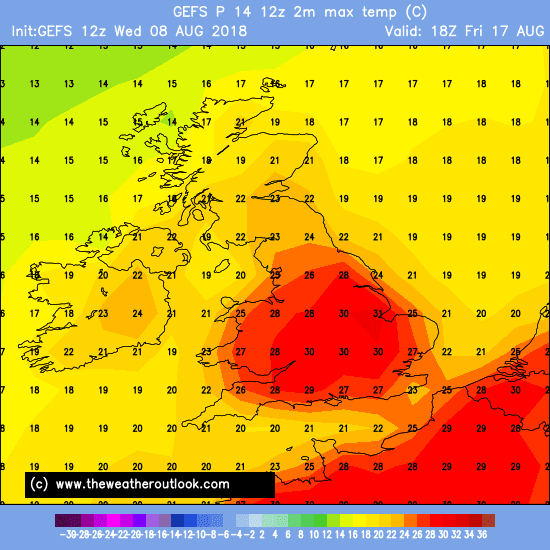 I think any very warm spells from now on will be fleeting events of between 1 - 3 days or so. Definitely the tell tail signs are there that a change is starting to happen. 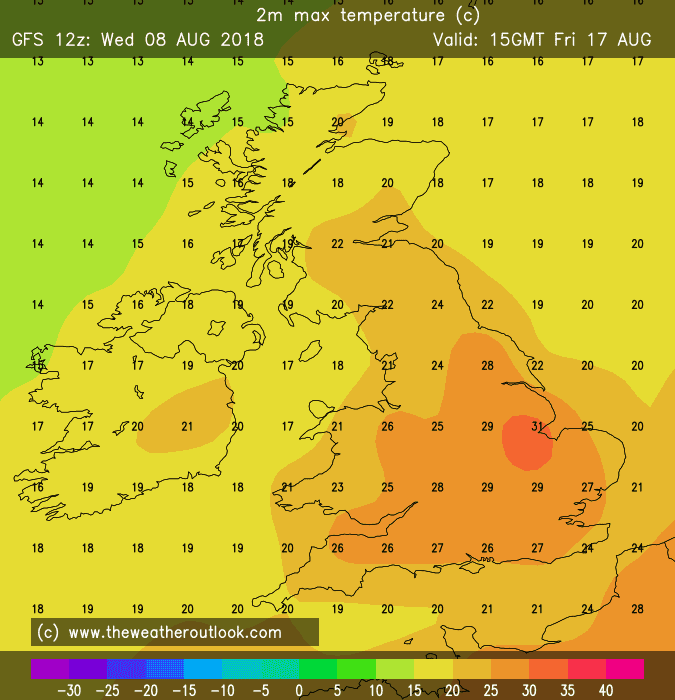 1 or 2 more warm spells wouldn't go a miss before the autumn properly sets in. 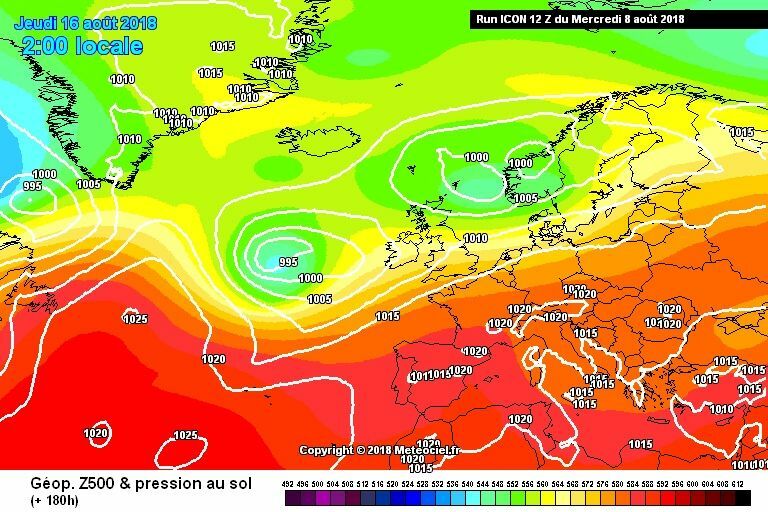 Wow the Ecm 00z goes for another heatwave later next week with +15 T850's meaning temps potentially into the 30's celsius yet again! Edited August 8, 2018 by Frosty. Well we still have very little clue as to what will happen from this time next week. Broad agreement on a warmer day again for the SE on Sunday with the unsettled weather spreading to all parts early next week. From then it’s all a bit up in the air. 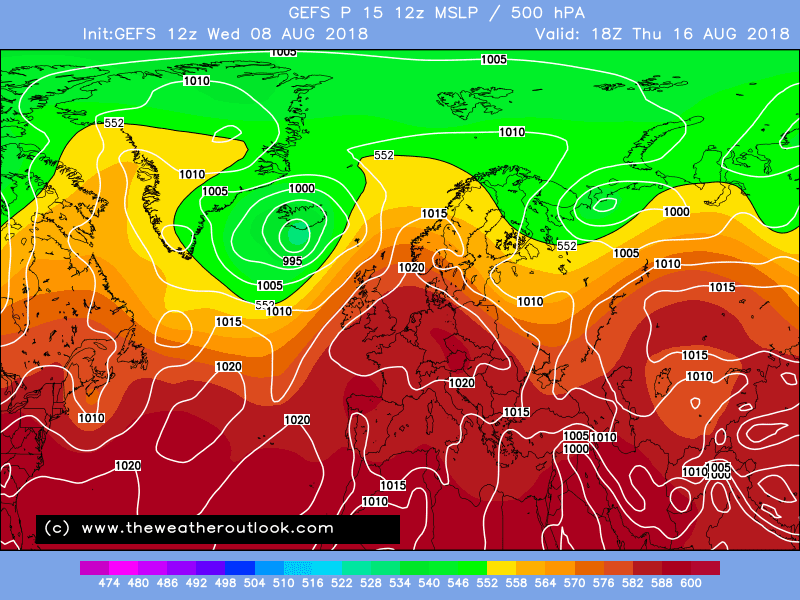 Yesterday’s 12z GFS was showing a more pronounced build of the Azores high into the southern half of the UK, this morning it shows a more westerly flow with only brief ridging into the south. 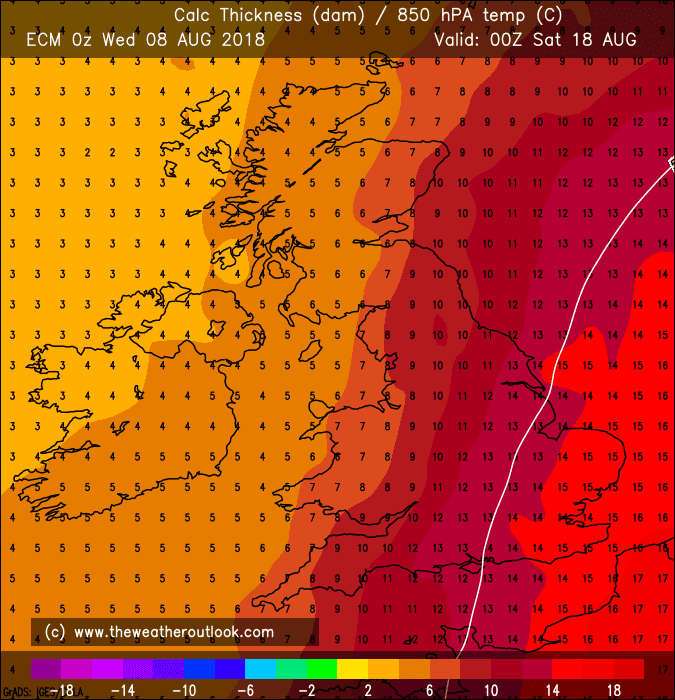 ECM on the other hand is much warmer in the extended period than it was yesterday, however it looks quite unstable and thundery towards the end of next week. 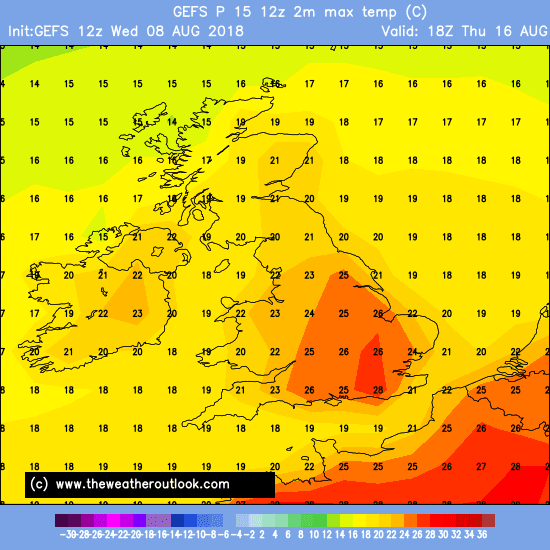 UKMO as ever only goes out to Tuesday, so no clue from that model on how things will pan out mid to late next week. 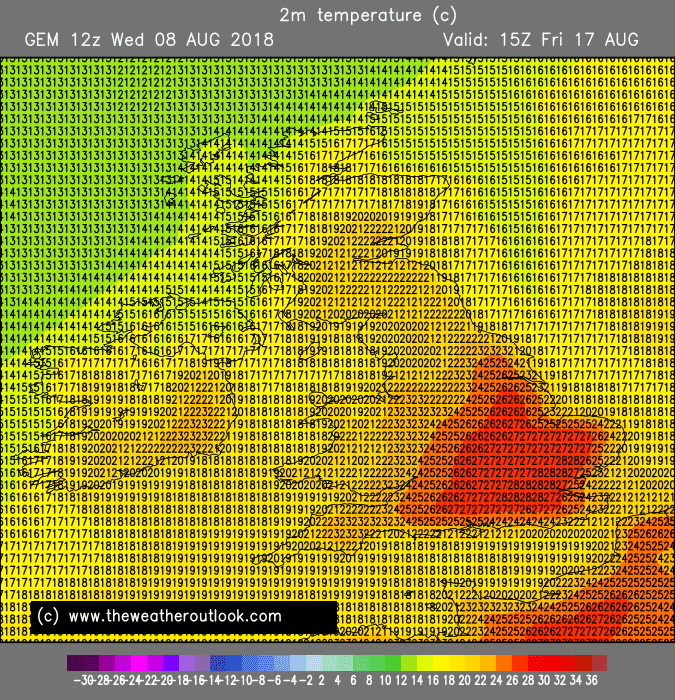 Tuesday itself on the UKMO shows a westerly flow with some sunny spells and a few showers in the south and probably more persistent rain and much cooler air filtering into northern Scotland. Take a look at the 500 mb anomaly charts. They are obviously not surface but will give you an idea on what direction the upper flow is, basically is it a cold or warm flow! 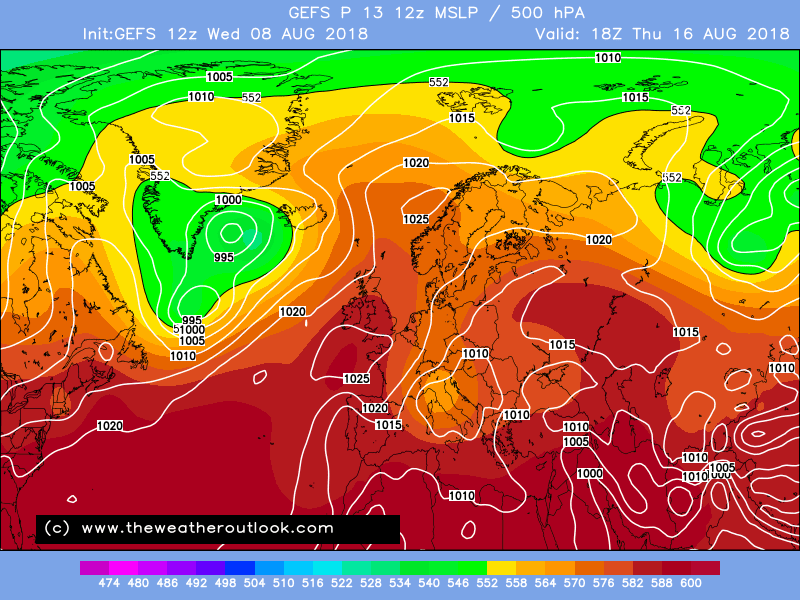 not a 'warm' flow for sure and more trough dominated than ridge. that is in the 6-10 day period. The 8-14 also a similar sort of chart. 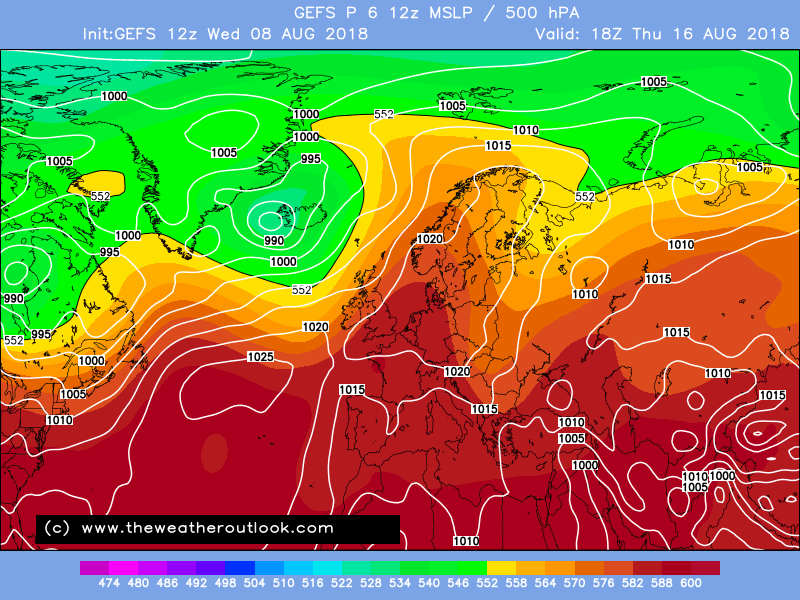 No sign though of the Atlantic winding up.This does leave probabilities for a day or two at a time with surface ridging but none of the charts shown really gives any solid idea where this might occur. 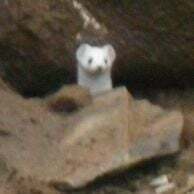 Possibly one over or very close by the UK, maybe the near continent but that is really straw clutching rather than scientific. No constant deluges and no return in this period to our 'summer'. 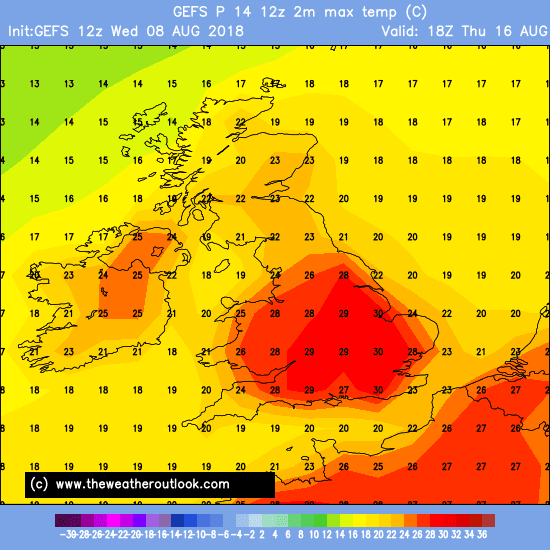 ECM clusters still providing more questions than answers sadly! Clusters after this are a mess. I find the day 10 anomalies strange as they don't really tally with the NOAA anomalies at all? 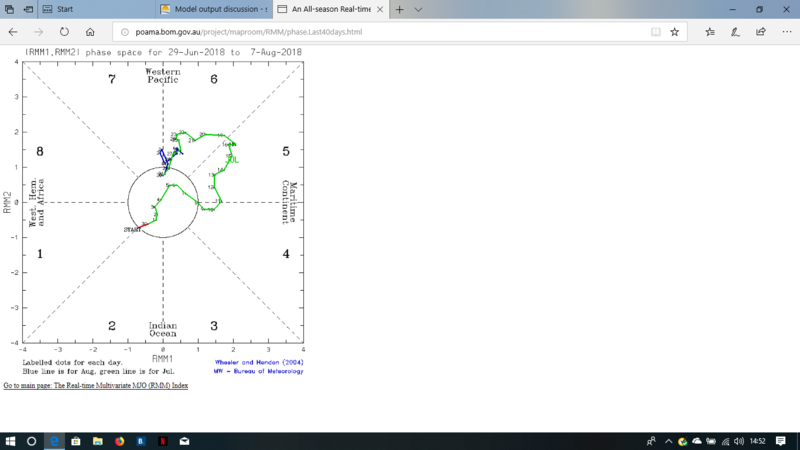 The models have of late become keen to kick off a new MJO propagation from the Indian Ocean in about 10 days time... but this is counter-intuitive, as the Nino state favours a more eastward point of initiation, across the Maritime continent. There's been a slight trend in the modelling toward that, but not yet enough for the models to start capturing the onset of the next Nino-type AAM cycle that occurs as the MJO moves east from that region. 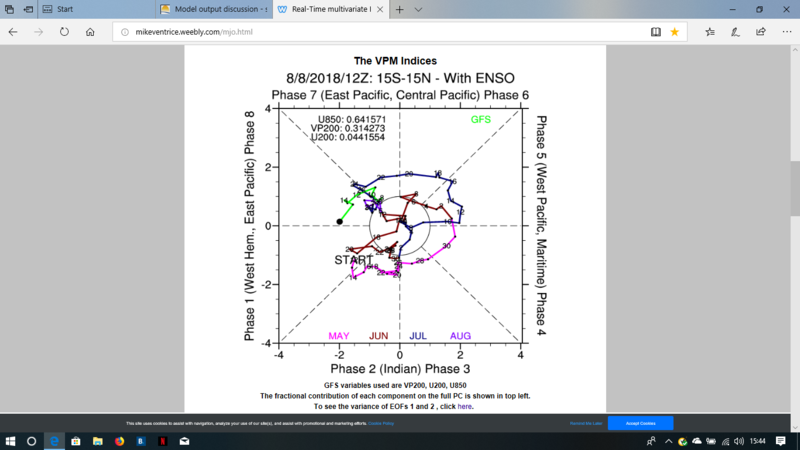 Given the dominance of warm SSTs in the C and E Pacific, I'm inclined to believe that the overall average MJO diagnosis in the H-W plots will actually follow a path very similar to its previous cycle (red line in the plot below), starting from where that cycle was on 6th or 7th July. 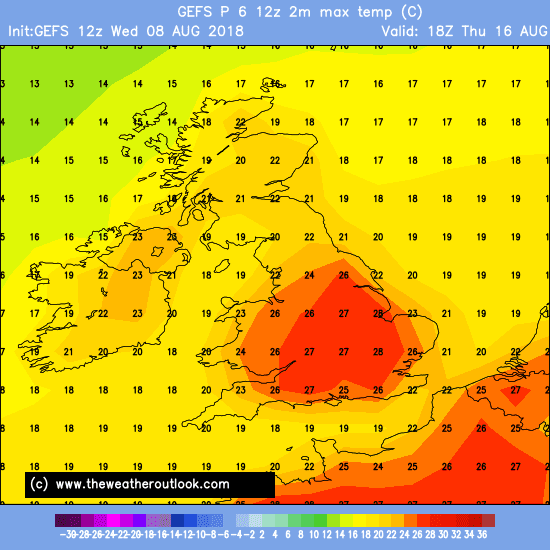 So longer-term modelling is in the 'highly suspect' bin for the time being. Before that - in the 4-10 day range - we look to be in a state of modelling chaos as a result of tropical cyclone activity in the Central and East Pacific which is supplying extra convective forcing and nudging the pattern toward a more Nino-like state by an amount that is fraught with uncertainty. 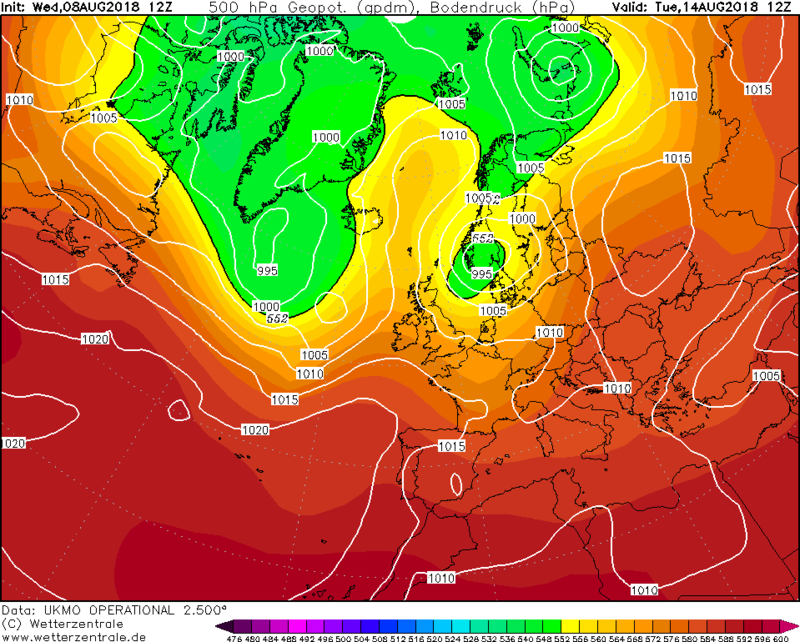 This has exceeded model estimations, hence the models slowing down the approach of the weekend trough, and doing so in a pretty inconsistent manner. 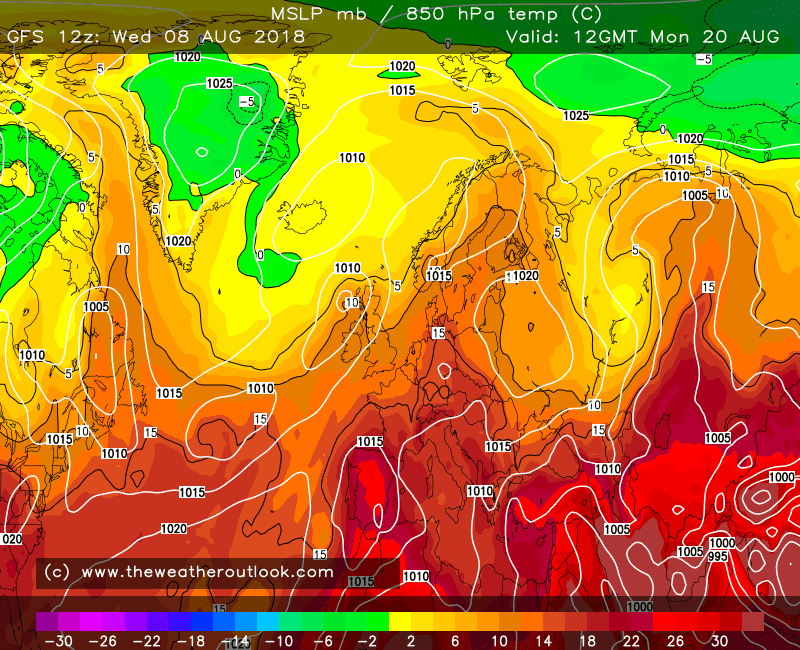 This does mean that the timing and path of LP systems next week is totally up in the air. Best to just focus on the weekend details while waiting for the models to get a better handle on things, if you can afford to. 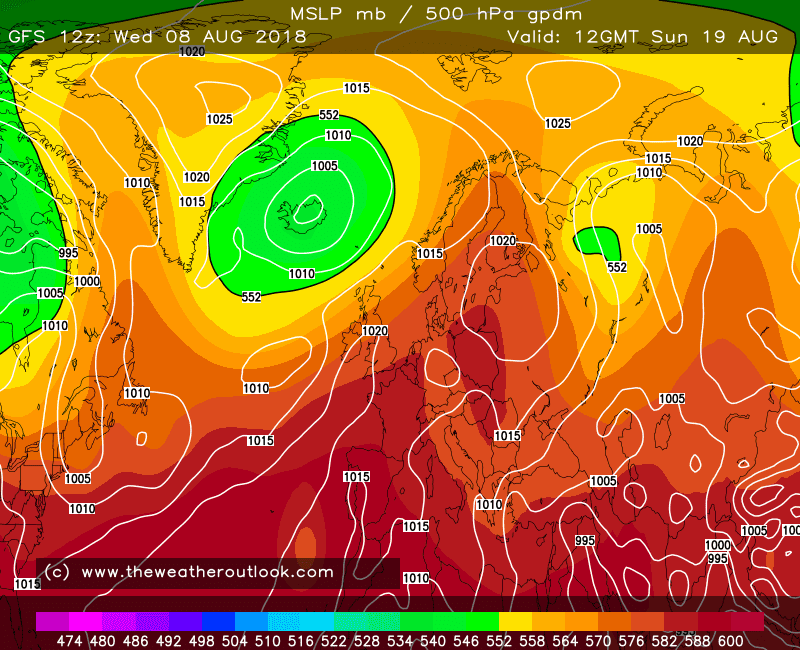 The Gfs 6z operational is quite a changeable / unsettled run, especially further north where it also looks generally cool but further south there is some warm drier, brighter spells, occasionally very warm for the s / e and the best part of the run is the end as an anticyclone builds over the uk bringing pleasant surface conditions. 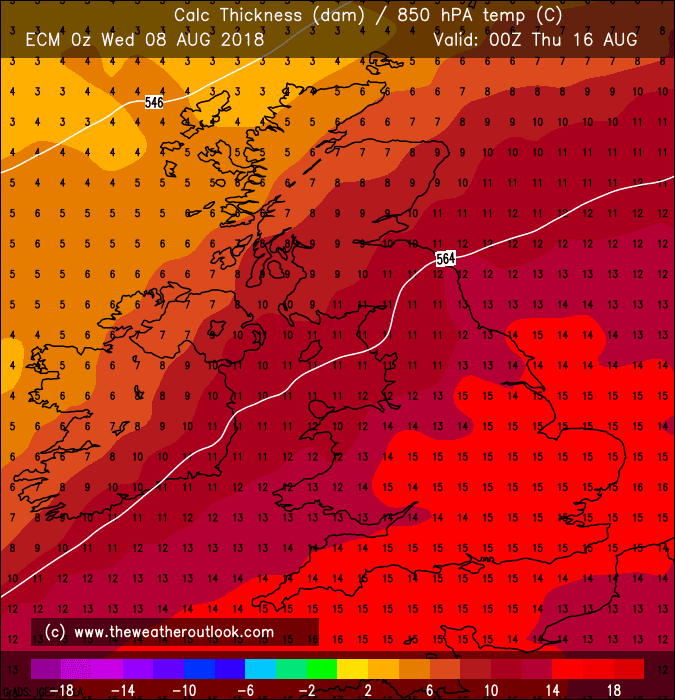 Looks like you will be spot on about the El Nino forcing - total model turnaround in the past couple of days - no Atlantic height rises, instead Atlantic trough / east heights. Of some sort! 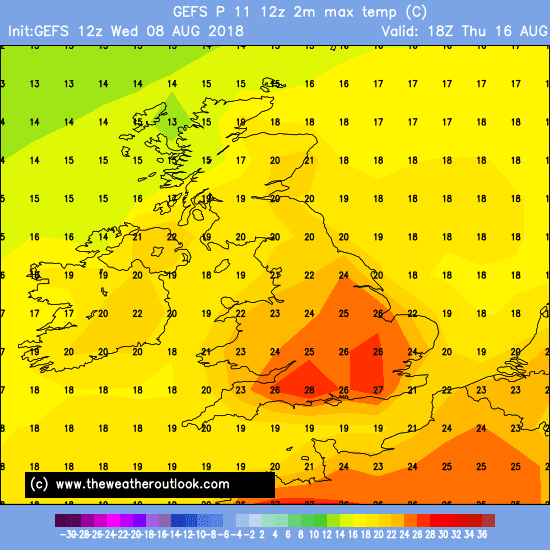 Looks like it will either be unsettled, hot, or fluctuations between the two. Fairly good agreement out to day 7, then any number of options from below average, to well above average again. 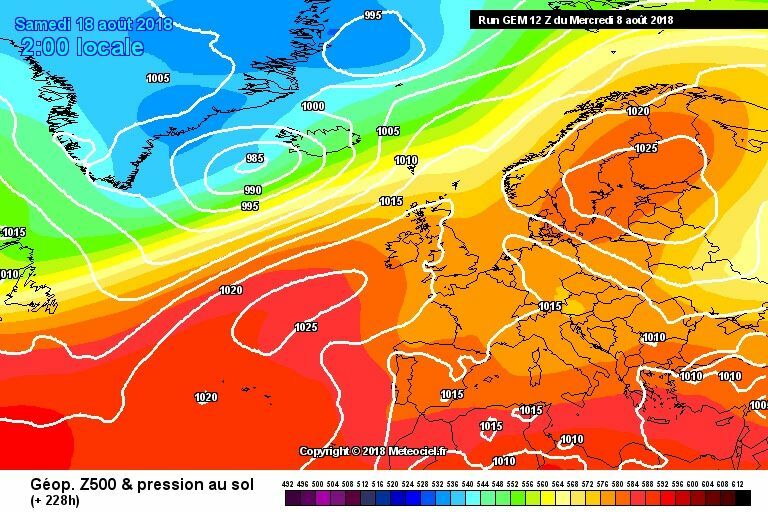 The mean staying above average meaning cooler weather not quite as fancied, but frankly we don't have much idea what we will end up with. the newly establishing El Nino standing wave as governed by this low frequency tropical convective signal in the Pacific is going to ebb and flow around downstream trough/ridge solutions in both the Pacific and Atlantic. 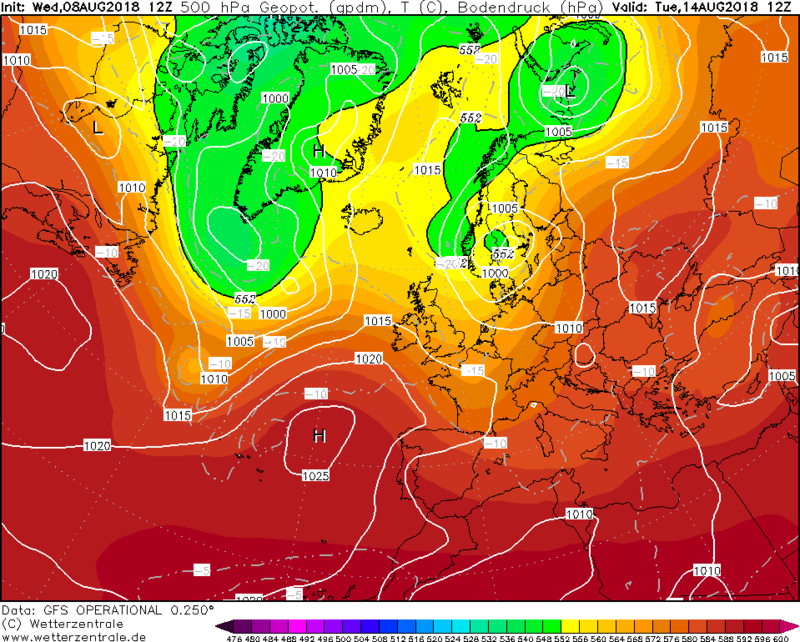 It occurred at relatively short notice in the models after mid July and this pattern is ever more likely to recur and keep recurring the longer times goes on. While the signal does ebb and flow and is never wholly constant, it is not wise in my opinion to extrapolate an Atlantic ridge and southward digging trough solution sustainably longer term- and better to try to measure intra day NWP not as face value absolute, but as a snapshot in time.  Almost a week on, and against the efforts of the models to progressively remove the signal as described in the caption extract, the signals have been fighting back. 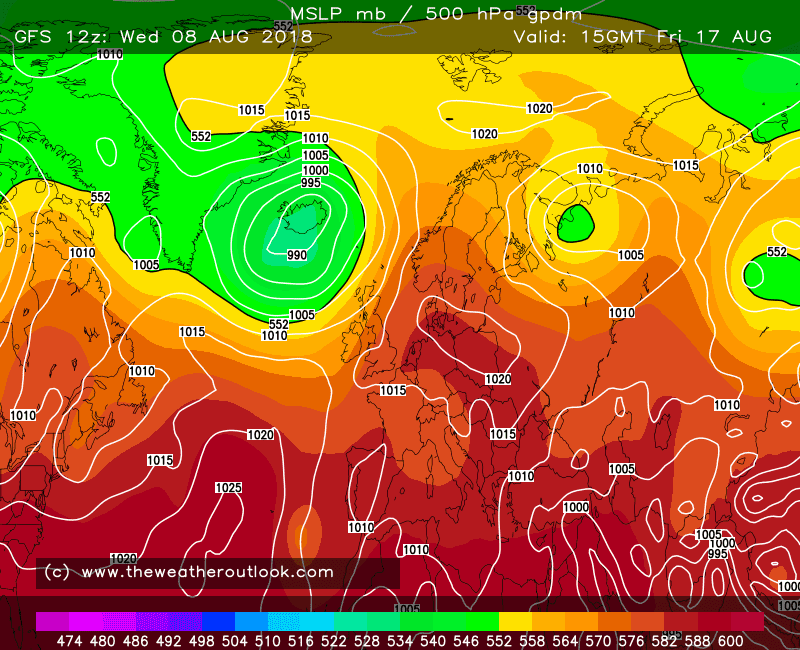 It remains sensible to view NWP from outside the inner circle. Cluster and ensemble data also hampered by inconsistency and erratic perceptions. 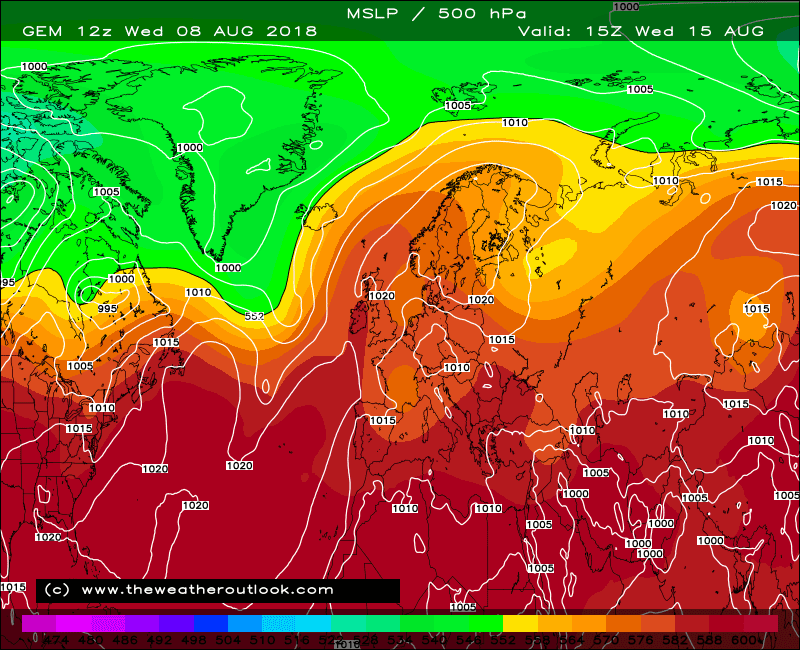 which acknowledges the degree of re-amplification there has been upstream in the Pacific (as outlined in the most recent post ) through this week and injected just enough energy into the polar jet downstream to edge the heat into the nearby continent. But the models have been blind-sided by the tropical activity in the Pacific that flares up in addition to any low frequency signal - and which they are often slow to respond to. 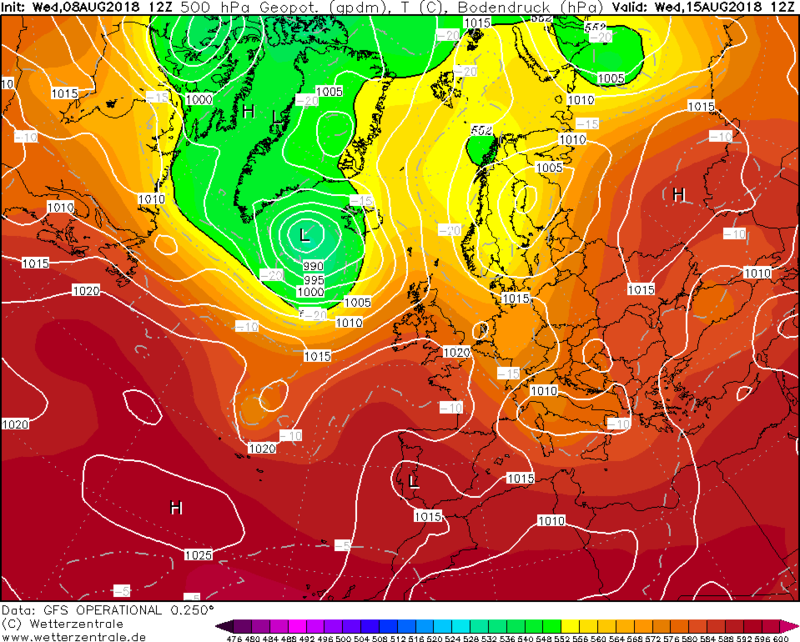 Hence the out and out trough solution suggested in recent days for the weekend ahead of an amplified Atlantic ridge, has been watered down and greater downstream ridge persists instead. 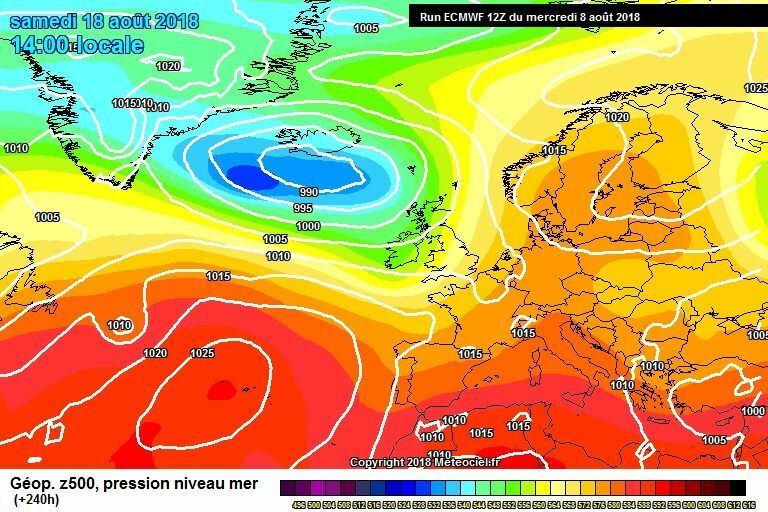 This in turn has altered the apparent evolution for that once depicted upstream ridge to move eastwards and try to settle things down into next week. However, this is far from the end of the story. 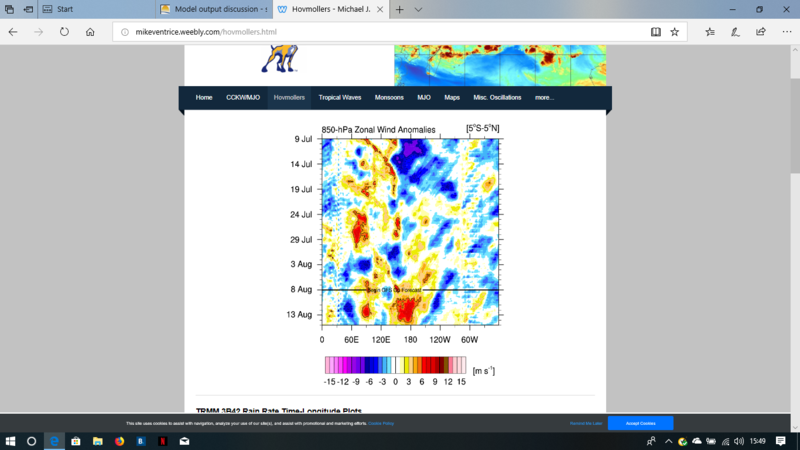 Worth taking a look again at the implementing standing wave pattern in the Pacific and seeing how the July pattern started to adopt to that in terms of position of tropical forcing. Which @Singularityhas already alluded to. 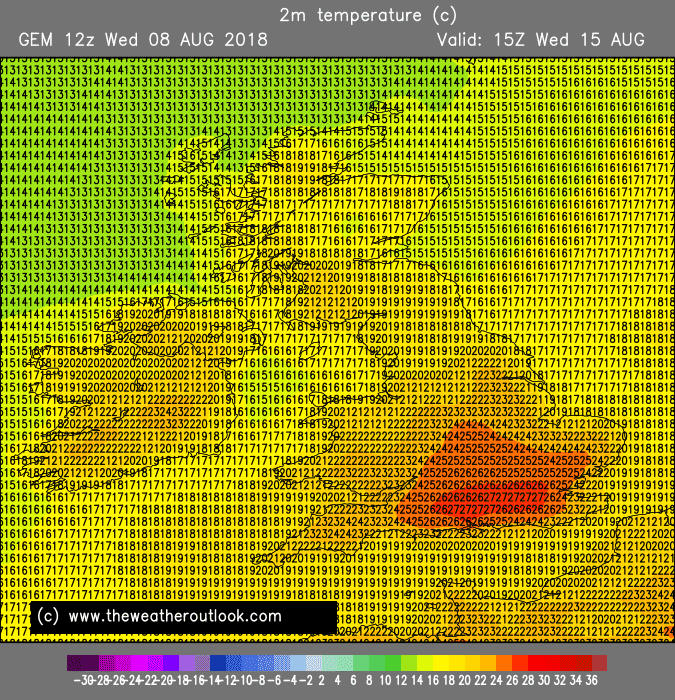 This means that resolving troughs and ridges downstream within an apparent upper westerly flow into the medium term is not straightforward and subject to further amendment within closing timescales. 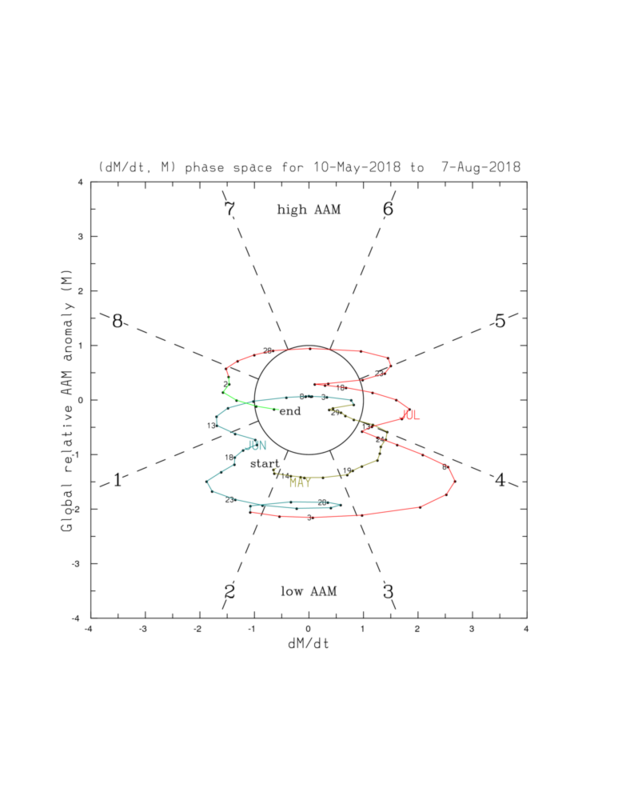 Then into the medium and longer term itself the re-engagement of the low frequency signal itself with the Nino standing wave which is highly likely to repeat the sequence of late July once again. The re-entry point heading east from Maritimes within last third of August. 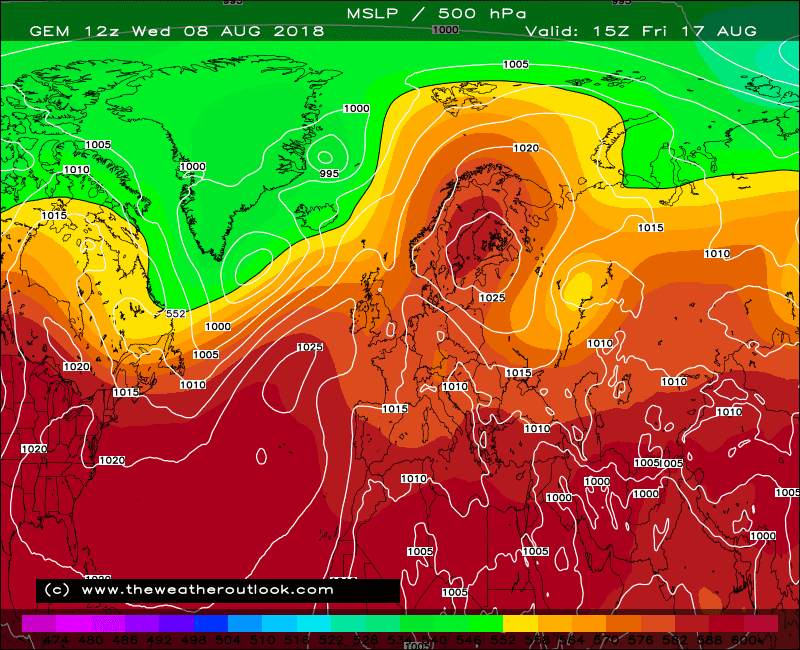 There is little point in posting deterministic modelling of this that far out at this stage - as progress of developments with the usual 5 days, let alone beyond it have not been reliable. 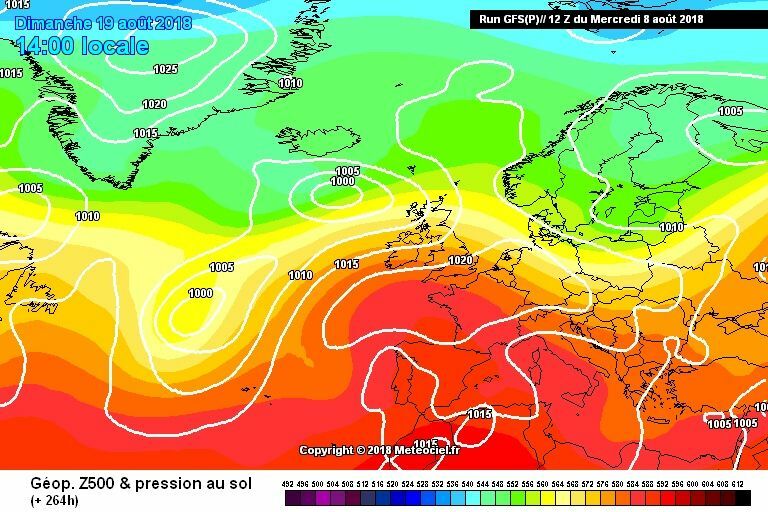 In that sense, it could well be the summer officially finishes not too dissimilar to how as it was ushered in during late May. I think, yet again, some further repeated correction needs to be given to a few posts made since the one under update consideration - in respect of the El Nino (standing wave) and its alleged lack of effect on our downstream pattern in summer, or at any time. The emphasis of this continues not to be the base state itself as I see repeatedly still keeps being incorrectly misrepresented regarding these summaries, but the changing relationship the atmosphere is adopting to on-going slow shifts in base state and which do impact on synoptic changes from upstream. One cannot deny that changes in jet stream profile upstream in the Pacific will not impact on the downstream pattern - and in this sense it is not wise to take NWP at face value where there are complicated and sometimes contradictory signals occurring upstream. 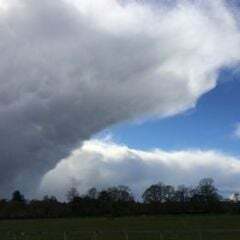 This principle applies such as it does currently in summer as much as it does in autumn, winter and Spring. 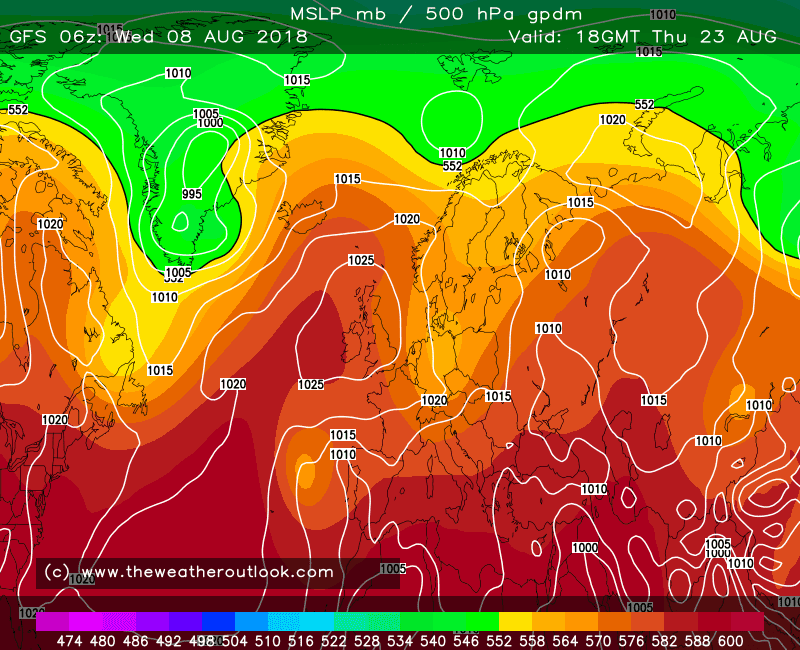 The high pressure looks a little more tenuous on the UKMO for Tuesday, but it still ridges in, temporarily at least. 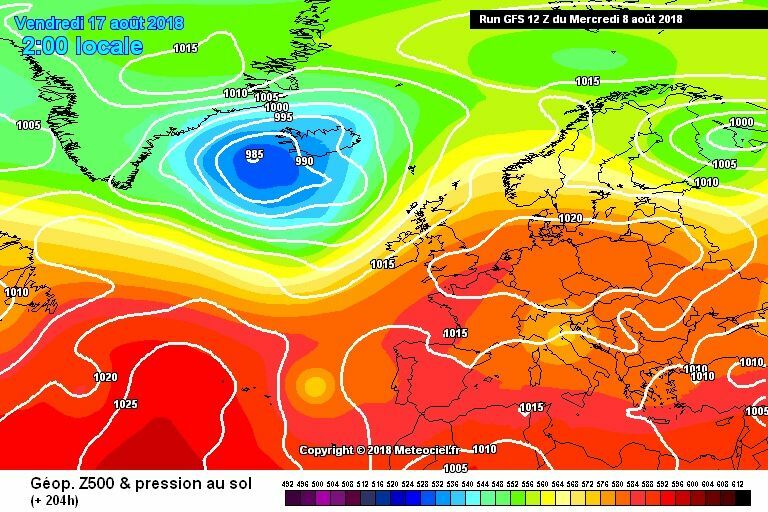 So still quite a bit of uncertainty, given the background signals I still favour a return to warm and settled, the question is how long it takes. 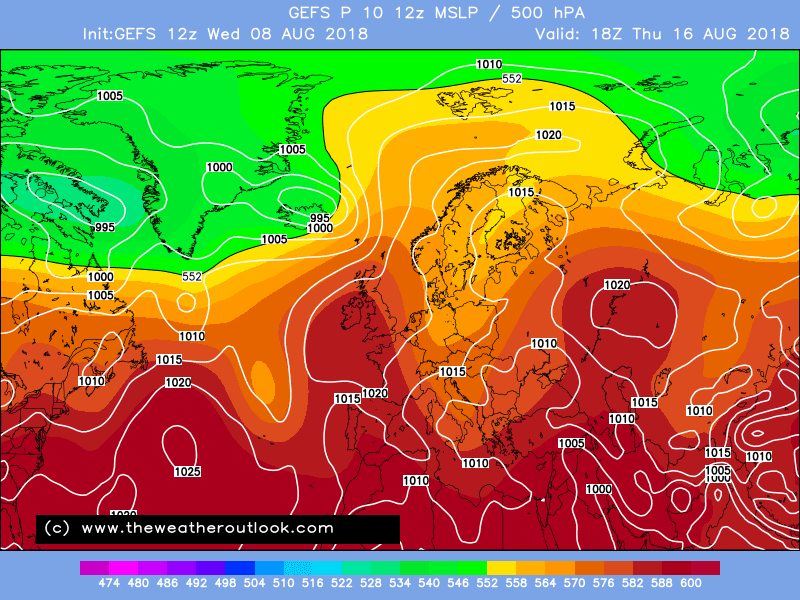 Well there's some cracking weather developing next week and well into the following week on the Gfs 12z operational further s / e...very warm / hot with reloading high pressure..temps into the high 20's / low 30's celsius..yet again!☺..add to this the fantastic extended outlook from exeter and there could be plenty more hot sunny high pressure in the weeks to come!! 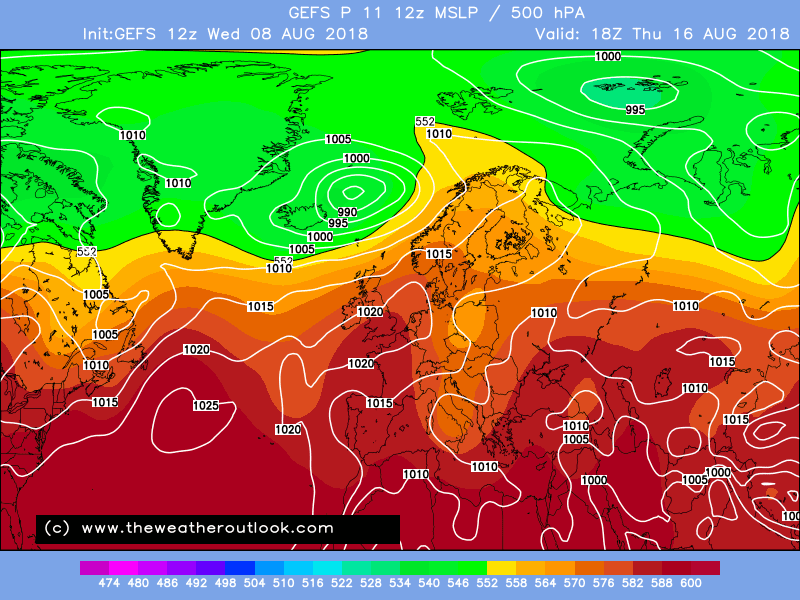 Yep it’s a cracking GFS run from Tuesday onwards for a of portion of the UK. 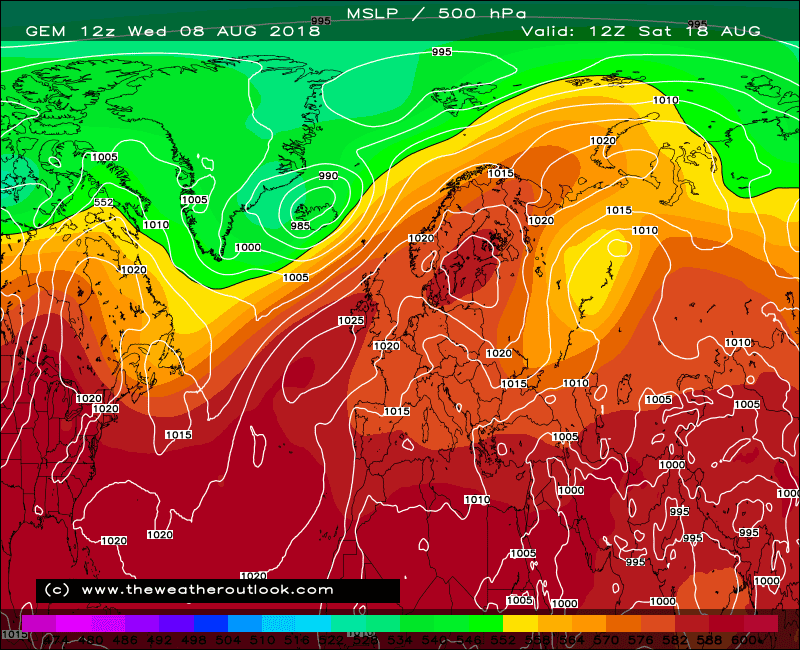 High pressure dominated for the southern half of the UK, extending northwards at times too. 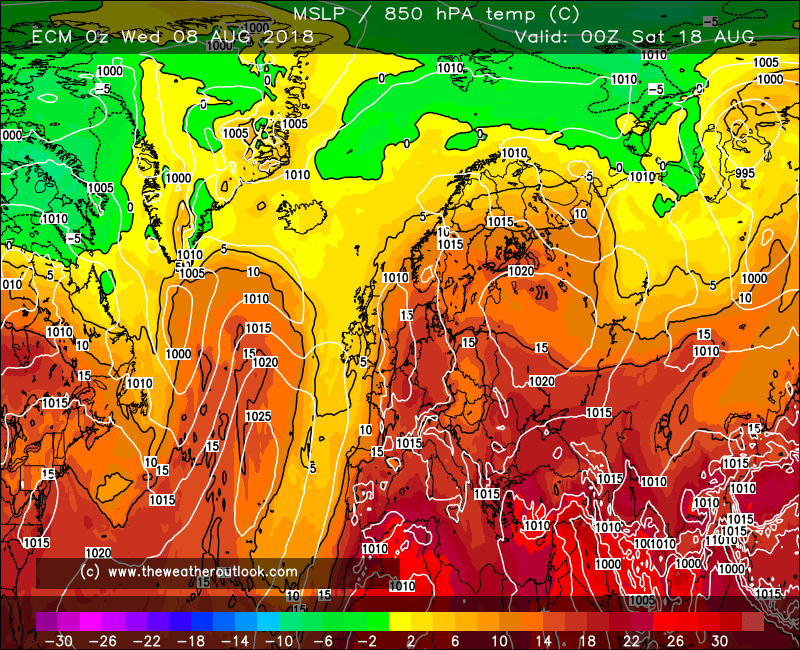 Yes the Gem 12z turns into an excellent run too..if you like high pressure and warmth! 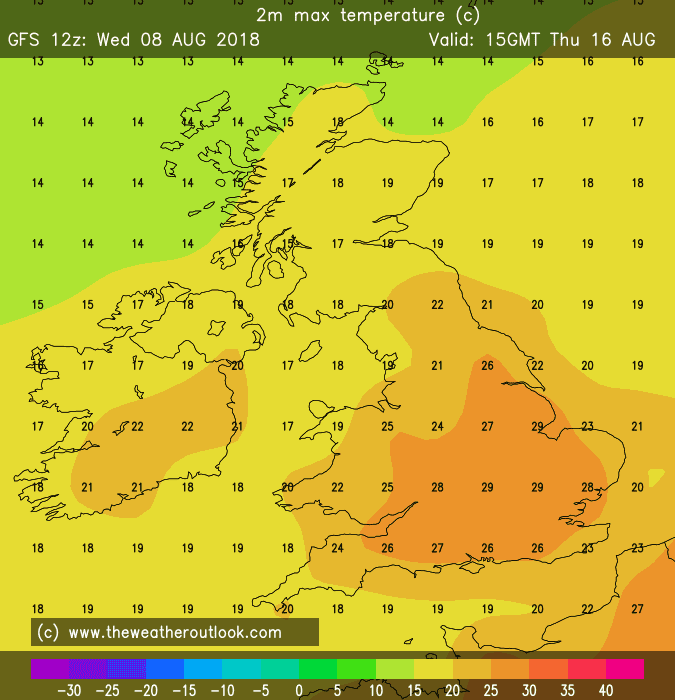 Same as the met office models then.They think good chance of hot spells again this month,summer NOT over then despite what some would have you believe! 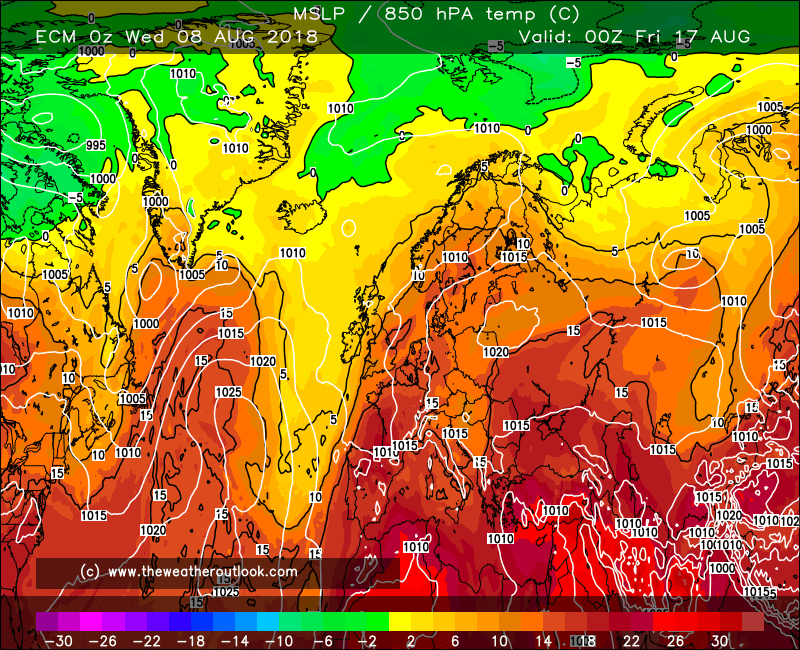 ECM T96 - no, surely not, I can't believe my eyes! 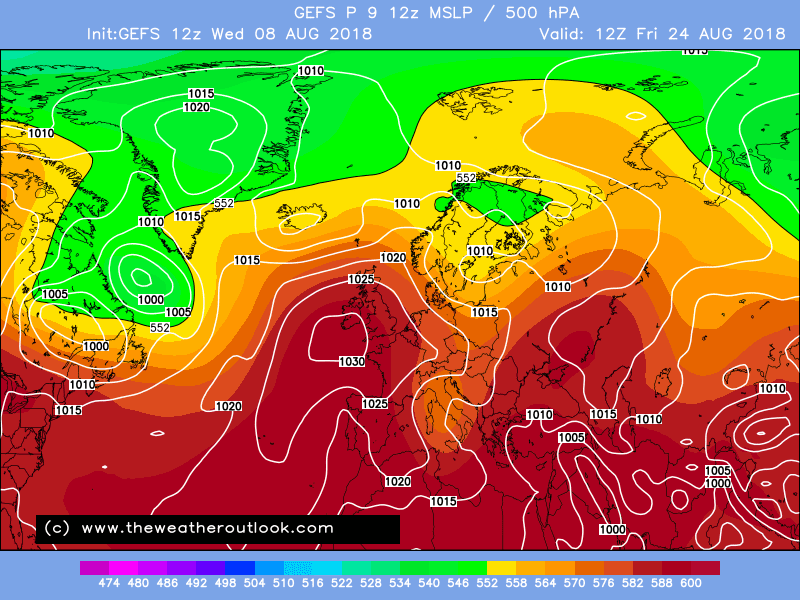 The ECM is a stones throw from stalling the low into Biscay and building pressure over the top! 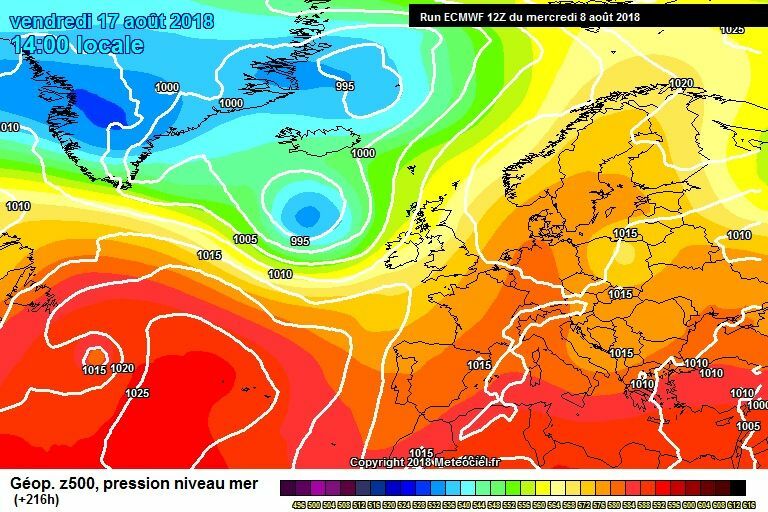 ECM T216, going for the ridge to the east, trough in the Atlantic, maybe a few more wiggles to come, awaiting the last frame. Given the 12s as a set, I'm not sure this is the eventual solution, but promising output tonight overall for a last burst of summer. 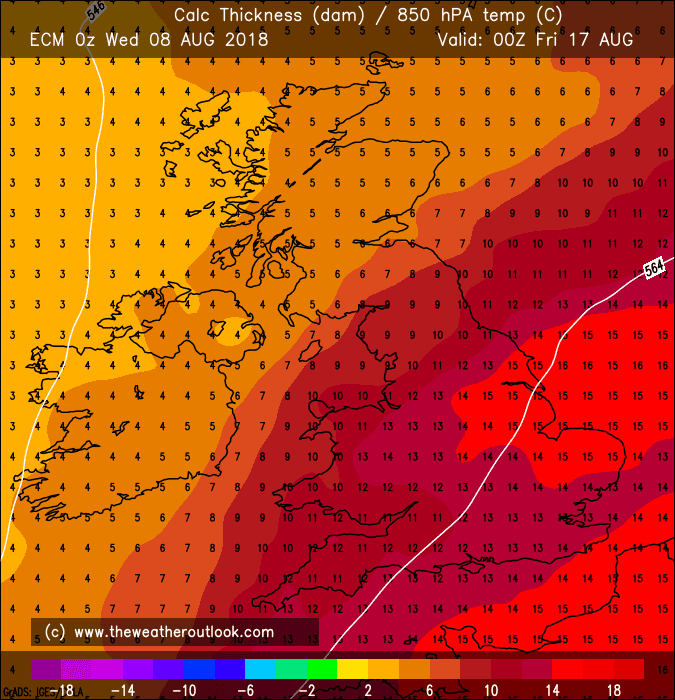 Ecm much better tonight - though very different from the 00z. 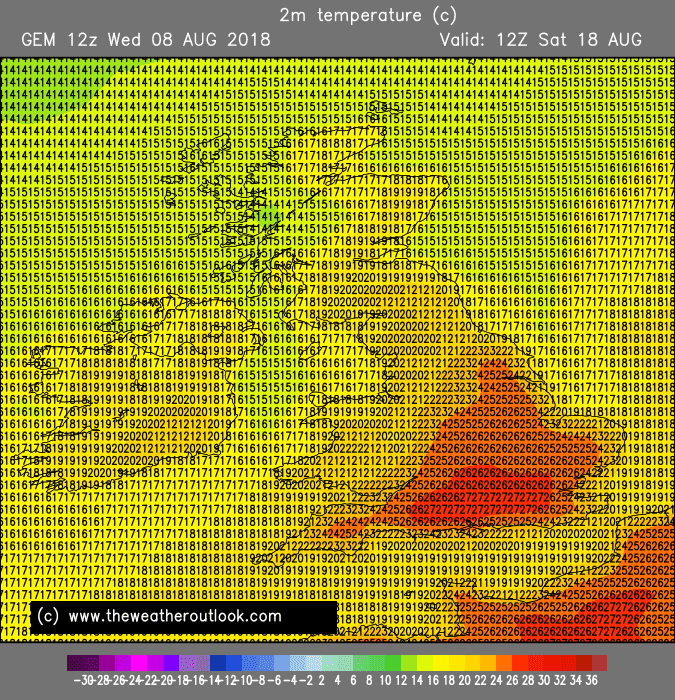 Pretty warm again at times too. Seems we just can’t shake the heat away for long this year! Frosty I wouldn’t say that was a fair assessment of the 850’s. 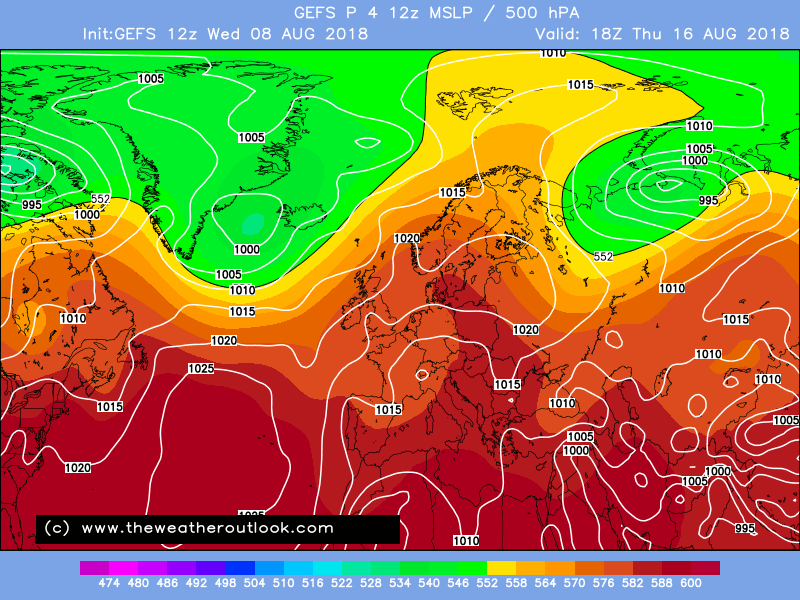 To me it looks very changeable with +12 uppers only briefly flirting with the southeast. 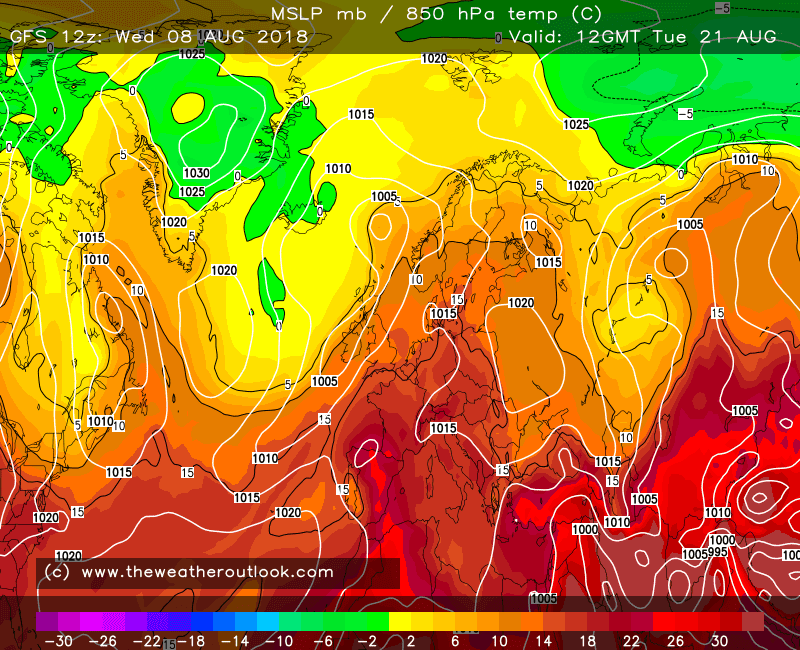 A downgrade if it’s oppressive heat your looking for. 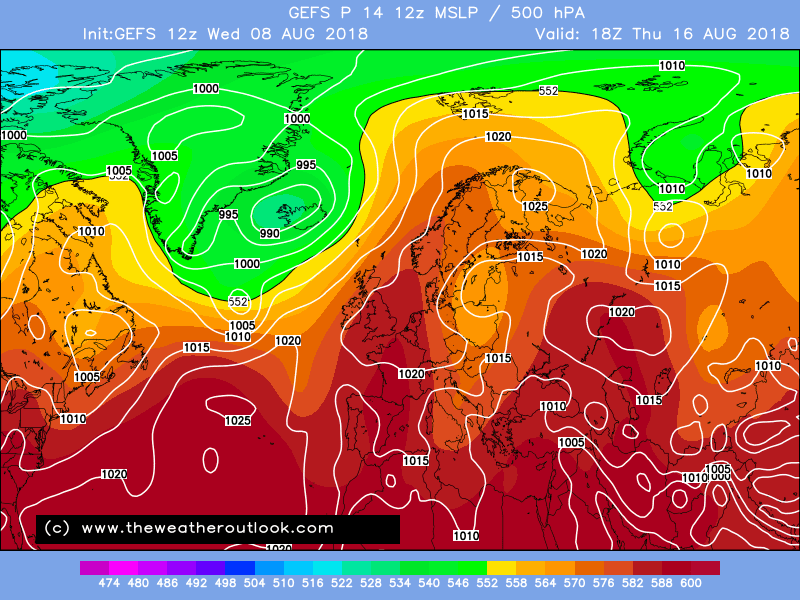 Both GFS and ECM better than this morning’s runs. Not sure how that is a downgrade? 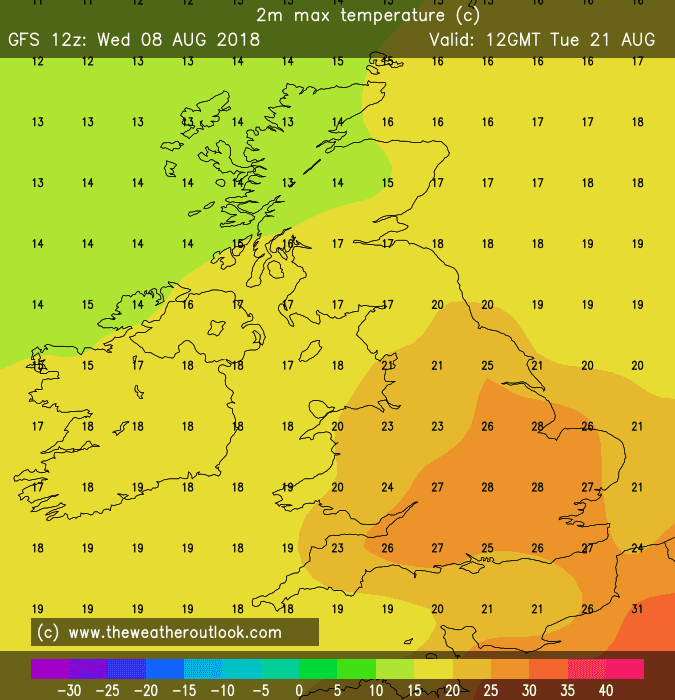 The only thing is thst Sunday looks less hot. 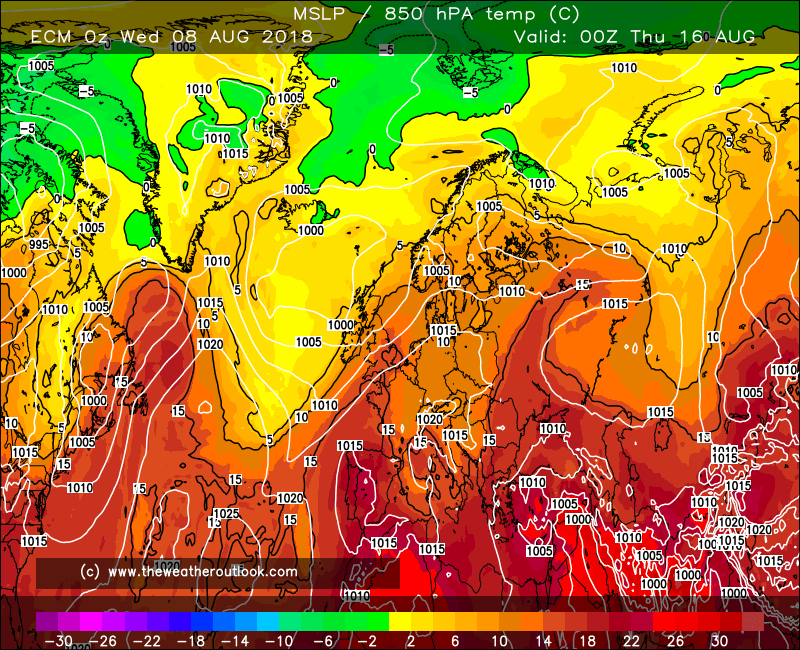 But overall both runs are an upgrade if you want settled and very warm / hot weather.